Hailstone at the Bavarian Battle Open Air 2018! It's just been announced that Hailstone will play at the Bavarian Battle Open Air which takes place from June 1st to June 3rd, 2018. Tell everyone you know to come to this awesome event! Check out their website bavarianbattle.de and their page on facebook! Very soon, our new shirts with the brilliant design by Roberto Toderico will arrive. Don't forget to check our shop. You can also preorder our new patches for your favourite jacket which will arrive at roughly the same time as the shirts. Stay tuned for more news shortly! As you all know we were lucky enough to get a chance to play in Shanghai earlier this year. Of course we wanted to share some of our experiences of the country, its people and its culture with you. So, coming soon, there will be a video encapturing our adventures in China. For the time being, we've prepared a trailer to get you hyped for the full video. Check it out! Get hyped for new shirts coming very soon! We'll be posting a sneak peek at the design for the new shirts shortly. The design will again be made by our good friend Roberto Toderico. In the meantime you can check out some of his other amazing artwork on his site on facebook! We're stoked to announce that Hailstone will play at the festival Metallergrillen in Katzenbach near Rockenhausen held on 1st and 2nd September 2017 along with such awesome bands as Tankard! So, grab your steaks and your barbecue equipment and join us at this brilliant event! The Dark Easter Metal Meeting at the Backstage in Munich is over. It was a spectacular event and a great success for both the organizers and the participating bands. We'd like to thank all of the bands that we had the pleasure to play and have fun with as well as the organizers who did an exceptional job at making everyone feel comfortable and at ensuring that everything runs smoothly. Coming up on the Easter weekend (Saturday, April 15th, and Sunday, April 16th) is the awesome Dark Easter Metal Meeting at Backstage in Munich. We'll be playing on Sunday along with Revel in Flesh, Asphyx and Mayhem, among others. We'll be there for both days to enjoy some good metal music and to have a drink and chat with everyone. Be sure not to miss this outstanding event! We'll see you there! Below you'll find the running order for the whole event. Hailstone has now officially desolated China! 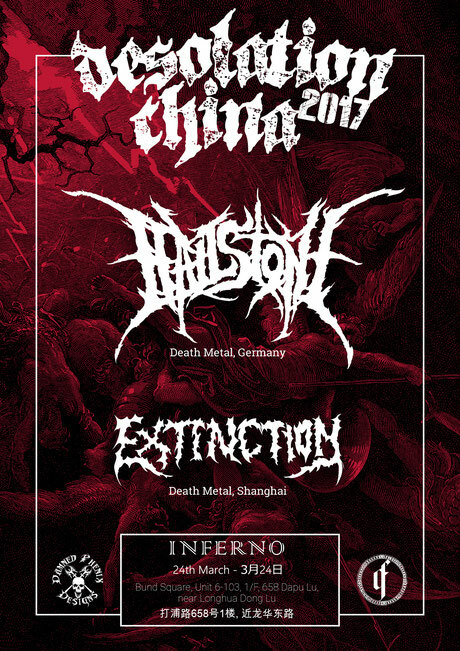 On Friday, September 24th, Hailstone played at the Inferno in Shanghai with the local band Extinction. The show was a smashing success! We'd like to thank everyone involved in organizing the show and our stay and we hope to play in China again sometime. Stay tuned for some cool photos from the event! We have released a new lyric video for the song INSIDIOUS DEPRAVITY from our latest album! It is one of the fastest and most hard-hitting songs on EPITOME. The lyrics are revolving around struggles against seclusion and self-loathing and how you fail to overcome them. WE WILL PLAY SHANGHAI, CHINA ON 24th MARCH 2017! You might have noticed there is a time gap between our January shows and the ones following after. The reason being, that our singer Daniel will be working in Shanghai starting February until April 2017, therefore no shows are possible in this time. So we just seized this opportunity and will pay him a visit while a playing a show together with Shanghai-based Death Metal band Extinction at Inferno's Shanghai! We are very stoked to have a show that far away and will make sure to deliver Munich-made desolation to all Shanghai metalheads! Also we will be hanging around and spread German seriousness to the Chinese people. Eating lots of food and drinking some stuff. Looking foward to this very much! so finally the LPs have arrived from the production company! We are very sorry for the very long delay, but now they are here and that is all that matters. They have turned out very well so why don't you head over to our store and grab a copy of this lovely pieces for yourself? Hand-signed numbers on top! Still missing a present for your loved ones? Also check out our "XMAS EPITOME" bundle! 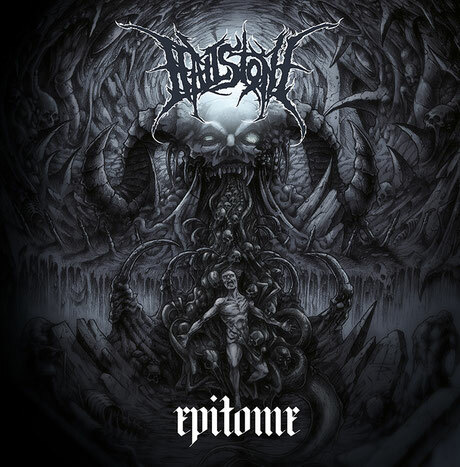 EPITOME is now digitally available on several stream clients, so listen to it if you haven't bought the album yet! We are having a contest to win a free shirt on our Facebook-Page so go there and check it out if you are interested in participating! So here we are with some bootleg stuff from our release show on 30th Sep 2016 at the Chaos Blast Fest! The sound is what you would expect from a small camera, but its footage anyway. Enjoy "Celestial Wrath" from our freshly released album EPITOME! Hailstone will play at the Dark Easter Metal Meeting in 2017 along with ASPHYX and other great bands! Our second album "EPITOME" is released today, 23rd Sep 2016! "EPITOME" and new merchandise available for Pre-Order! Epitome (CD/LP) is available for pre-ordering starting TODAY, 14 Sep 2016! LPs will be shipped around Oct 2016 due to delays in production. Also, we got new shirts (also Girlies/Tanks) available for pre-ordering! The Pre-Orders will be shipped around 22nd September! 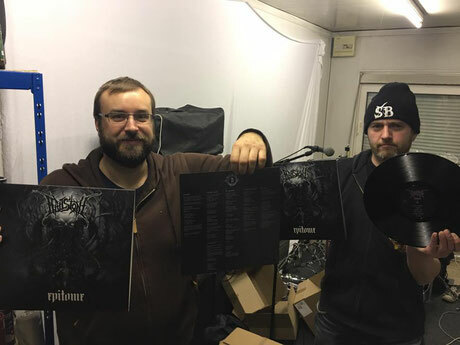 Today the test vinyl for our album EPITOME has arrived! The LPs of EPITOME will be strictly limited to 200 pieces and numbered by hand by the band! The LP is available for pre-ordering in our shop, so check it out! Due to delays in production they will be shipped around October 2016. Kaosguards: le webzine metal à l'esprit large interviewed us and asked us some interesting questions! The interview is in French, but no worries, an English translation is also available on the page! Thanks to Kaosguards for the interview! 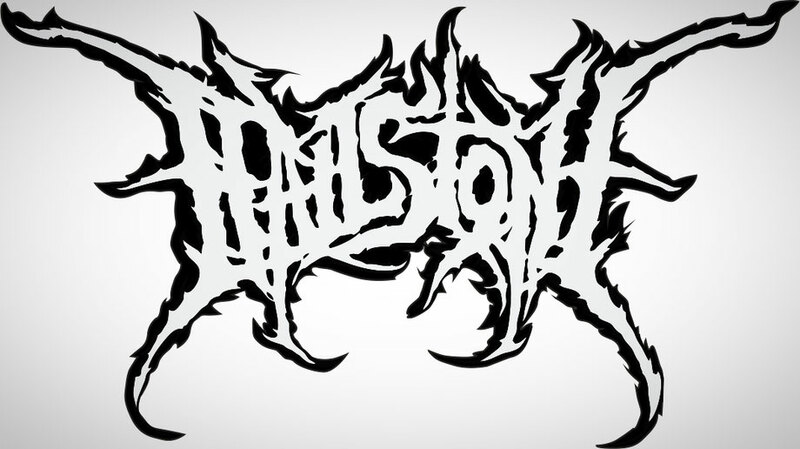 Welcome to the new website of Hailstone, Munich's best Melodic Death Metal band! Find the latest news for our upcoming album release here! 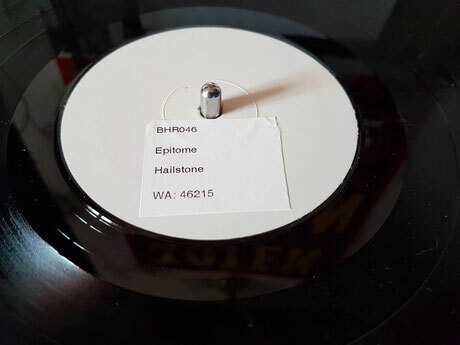 Music video released for "THE SHORE"
Hailstone recently released a music video for "THE SHORE" from their upcoming album "EPITOME"! The video was presented by German Metal magazine "DEAF FOREVER" and BRET HARD RECORDS! The filming was done by IridumStream and Emotional PhotoArt at the Bavarian Battle Winter 2016 in Rosenheim earlier this year! Check it out below!